This stunning, Main Floor Master âMeadowlarkâ plan is one of the last-remaining homes from Wonderland Homes in Sterling Ranch! The grand, two-story foyer welcomes guests into this elegant 4-Bed, 3.5-Bath, 2-story home with full basement & 3-car tandem garage. Plenty of space to entertain & enjoy the cozy fireplace in the open Great Room with soaring 12' ceilings & wide-plank hardwood floors. Living area includes Media, Kitchen, Dining Area, covered Outdoor Room & Study. Open, inviting Kitchen offers stainless steel appliances, huge quartz island & breakfast bar. Main floor Master Retreat features a spectacular en suite Bath with glass shower, quartz counters, giant walk-in closet & convenient laundry. Step up to the second level with 3 Beds, 2 Baths & Loft for guest or family living. 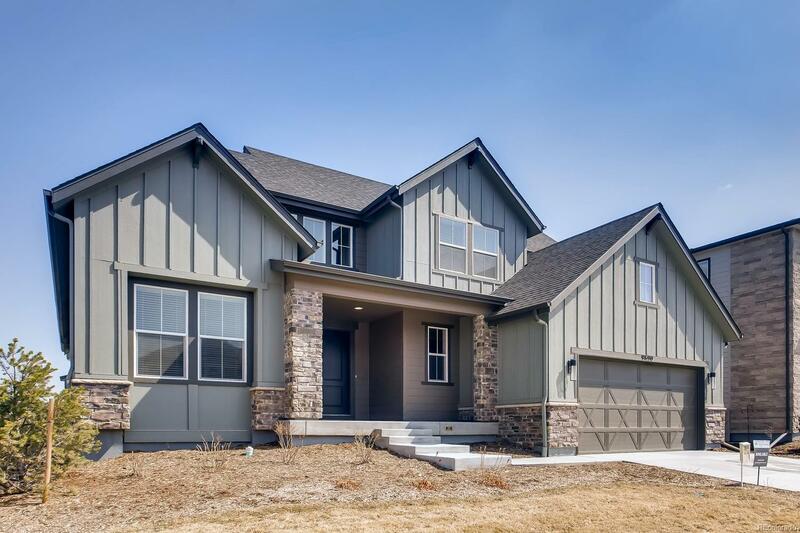 Providence Village in the new Sterling Ranch Community offers a planned Rec Center, Pool & Clubhouse, miles of hiking & biking trails and a short commute to DTC or Denver.